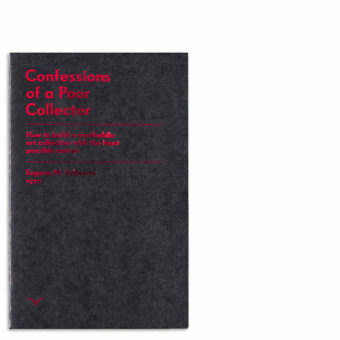 “The Collection for the poor Collector” edited by Thomas Geiger brings together 21 artists undertaking the brave and exciting work of exploring economic and distribution strategies outside of the art market. Inspired by the work “I Want To Become A Millionaire” of the author and the Edition Taube classic of 2011: Eugene Schwartz’s “Confessions of a Poor Collector“. With Marc Buchy, Nobutaka Aozaki, Hubert Renard, Florian Graf, David Horvitz, Thomas Geiger, JaZoN Frings, Matthijs Booij, Jonathan Monk, David Sherry, Sophie Lapalu + X, Donna Kukama, Adnan Balcinovic, Antoanetta Marinov, Kurt Ryslavy, Émilie Brout & Maxime Marion, Dennis Tyfus, Jesús “Bubu” Negrón, Constant Dullaart and *.